Two years ago, I thought writing my first post on the Southern Weddings blog was a difficult (and downright daunting!) task. Lucky for me, you were the most gracious and patient of readers, and helped ease me into my first job out of college. (Thank you!) Writing this post, on my last official day in the SW office, though, is another beast, entirely. While I’m excited for the changes (and significant student debt) law school promises, I can’t help but be sad to think my time in this very special office is coming to an end. Since my husband assures me laughter is the best remedy, join me on a trip down memory lane as I relieve some of my favorite – and happiest – times at Southern Weddings. As Emily so eloquently says, it’s been real, y’all! Anyone remember this gem? If you’ve been following us from the beginning, you likely remember Emily’s and my “Southern Introduction” on the SW blog. Emily and I both started work at SW Mag, barely a month out of college, back in July 2009. After only a week in the office, Lara treated the SW newbies and our handsome beaus to a welcome dinner in Chapel Hill. With literally hundreds of snapshots, photo shoots and iPhone pics now under our belt, I believe this was the first time Em and I were ever photographed together. Aww! It wasn’t too long after that Emily and I got to work on what would be our first issue of Southern Weddings. After months of hard work, long hours and frequent infusions of sugar for this candy lover, V2 hit the stands. I can’t remember being so proud of a finished product. It seems y’all loved it just as much! Hard work is nice and all, but it was the post-V2 celebrations I loved the most. If you know our office even a little bit, you know we are serious about our Smilebooth sessions. This candid from our Launch Party at Bridal Bar Atlanta sums it (and us) up quite nicely. In between photo shoots and Smilebooth vogueing, I did manage to squeeze in a bit of work. I thought the transition from college student to working girl was big, but the winter and spring following the publication of V2 brought some momentous changes of their own. I accepted a proposal from my college sweetheart, (reluctantly) started planning a wedding and dove headfirst into what would be the biggest and best issue in Southern Weddings history. Of course, it wasn’t all work and no fun. Kyle, my now-husband our resident social butterfly, sure enjoyed himself at all of our office outings. Though it’s common knowledge around the SW office that I hate (loathe, despise, break out in hives at the mere thought of) having my picture taken, I spent a happy day in front of Millie Holloman’s lens. We love her! This series, also by Millie Holloman, doubles as Emily’s + my “wedding photos.” Don’t judge us. And then there was that time I got married. As much as I dreaded the planning process and prided myself on being an atypical bride, I have to admit my wedding day was, in fact, the best day of my life. See our official posts on the wedding here, here and here. While I definitely feel like I hit the relationship jackpot in marrying Kyle, I also was lucky to have a troupe of my nearest and dearest friends serve as bridesmaids at my wedding. Emily, a lovely bridesmaid herself, actually was the inspiration for the stunning black dresses the girls wore! There are a whole lot more memories (and pictures!) from my two years at Southern Weddings, but when you get right down to it, what I’ll miss most, of course, are my co-workers and the times we’ve shared. (Cue the Vitamin-C “Graduation Song,” circa 2000.) I love this shot of us from Christmas 2010! There couldn’t be a better foursome to help pick up where I’ve left off. And then there’s Lara and Emily, without whom I would not have landed my first job (thank you, L!) and this blog would not exist (you’re the best, E!). Lara, I’ll miss your charisma, energy and and indomitable go-get-’em attitude. (I’ll also miss the endless supply of candy you funneled my way. Think we can work out some kind of mail order candy system?) I feel lucky to have had had the opportunity to learn from you and to challenge myself to become a better individual and businesswoman. Watching you continue to transform your life and your business from afar will be my pleasure! And Emily, I’m willing to bet not every girl is lucky enough to have a co-worker become a true friend. We’ve often joked that I’m the yin to your yang, and after thinking about well and seamlessly we’ve worked together these past two years, I now appreciate how accurate that description really is. You are graceful and poised, genuine and talented – and I can only hope some of your lovely qualities have rubbed off on me. Spending time with you has made me better, and knowing you is a privilege! Congratulations! Have a wonderful time on this new adventure, and all the ones to follow. God bless you! I sure will miss your posts!! What a wonderful post, Katharine! I remember reading about all of these fun moments over the last two years. Good luck with everything! Sob! What a beautiful post from a beautiful lady. LOVE YOU! I’m with Em. I am a wet mess of tears AGAIN today! We love you so much. Missing you beyond words already. You are a phenomenal woman, KTW. I have to join in. Katharine, I love you! You have brightened up the SW office for two years and we are going to miss you dearly. I am so proud of you for pursuing your law school dream and I fully expect you to still attend all office parties. Can I bribe you with candy? I’m not gonna lie–and maybe it’s just ’cause of all the royal wedding emotions–but that Winnie the Pooh quote made me cry! What a lovely goodbye letter, Katharine! You will be missed, and best of luck in law school!! Say it ain’t so! I will really miss your VA prespective and classy posts. Aww! Katharine, you are lovely and this post is beautiful!! I wish you all the best in the world at law school! P.S. Thanks for all of your posts! They have been incredibly helpful as I plan my own wedding. Mixed emotions of sadness and happiness. I’ve really enjoyed reading your posts, it’s been some mornings highlights while I drink my coffee. But I am so excited to see what the future has in store for you. Best of luck, Katharine! I think ….I know I got teary because ” breaking up is hard to do” when relationships grow and GO! Good luck….push your self and make things happen! Introducing Our New Ad Director! The past few months have been especially busy and exciting for me, too. 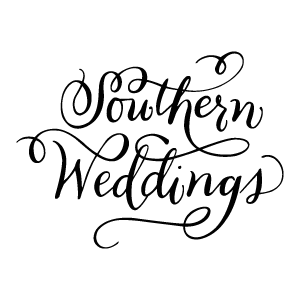 Tomorrow, I’ll be leaving Southern Weddings for the land of law school and student debt. (Trust me: it’s scarier than it sounds.) After nearly two years with Lara, Emily and the SW crew, it’s hard to imagine my day-to-day without them or this beautiful blog, but we’ll save the sappy post for tomorrow, okay? Though my time at Southern Weddings sadly is coming to a close, I couldn’t be more excited to announce our new Ad Director. We scoured the blogosphere and reviewed scores of resumes looking for the perfect gal to take over the advertising reigns, but in the end realized she’d been right under our noses the entire time. Yes, folks, I’m happy to say the new Southern Weddings Ad Director is a familiar (and friendly!) face to most of you. Please join me in giving a good old-fashioned “howdy” to Whitney Davis, Southern Weddings Ad Director extraordinaire! Whitney has been an integral part of the SW team for the past two years, and many of you have followed her transition from college intern to editorial assistant and, now, to our new director of advertising. There are few people who know the SW brand, community and sponsors as well as Whitney, and I couldn’t dream up a better person for the job. The fact that her initials are W.E.D. is just further proof that Whitney was born for this industry! Her best attribute, though? Girlfriend can work a Smilebooth like it’s her job – which, as a member of this fun-loving team, it kind of is. I had no idea–I’m sorry to see you go Katharine, but I’m sure law school will definitely be amazing and you’ll do amazingly well! And CONGRATULATIONS WHITNEY! How exciting! I love that your initials match the business oh-so-perfectly–it’s a sign! Congratulations Katharine!! I will keep you in my thoughts and prayers as you start your new adventure! I am so sad to see you go as I truly refer to your posts almost daily for guidance and inspiration as I plan my 09.10.11 wedding (with the wonderful Ashley Baber!). Best of luck and please have the other girls keep us readers updated on your progress! Oh my goodness! I had no idea you were leaving Katherine! I’m so sad, but a new adventure is beckoning you!! Thank you for your dedicated service and love to SWMag!Congrats! Yay, Whitney! I never even realized that you weren’t already part of the official SW team! Congratulations on your new position – do enjoy! Congrats Whitney!! :) it’ll be sad to see Katharine go (beautiful wedding btw!). love those initials W.E.D.!! No, no, no! I’m graduating law school right now…and I want YOUR job! Good luck, though! Miss Type A hit the nail on the head!! But we still love you and SW at FSU law! Yipppeeee! Congratulations, Whitney! Very excited for your future at SW! Katherine, all the best with law school. Your energy and spirit will be missed on the SW blog. Congrats to you Whitney. Well deserved! I’ve read a lot of wedding interviews in my time at SW, but can say, without a doubt, that none have been sweeter than Taylor’s account of how he met and eventually won over his lovely bride. (If you don’t usually, you’ll definitely want to read this couple’s sweet story!) After a whirlwind two month engagement, Laurie Anne + Taylor exchanged vows at the Aldridge Gardens, with Stephen Devries on hand to document their intimate service. The bride, in a Bella Couture gown, pulled out all the stops when it came to planning to outfitting her wedding party: pearl gray mix-and-match frocks from J. Crew with coordinating wraps (my favorite), cowboy boots and crisp gray suits for the gents. Laurie Anne’s veil was a Charlsie and Linda Designs creation, and Carol Riley of Lillie’s styled arrangements of lush blue hydrangeas. We’ll see you back here for Part II! How did the two of you meet? Tell us your story. (From the groom) We met in ethics class our junior year of college at Auburn University. I was already in class our first day when I saw Laurie Anne walk in. We quickly became close friends that semester. We both liked each other, but I was moving back to Birmingham and she was staying in Auburn. We lost touch and I spent the next three years trying to get over her. By this time I was living in NYC and thought she was out of my life for good. I had deleted her number from my phone and cut off all connection with her in an attempt to really move on. Next thing I know, I have a Facebook message from Laurie Anne telling me she is coming to NYC for a work trip and that she wants to hang out. So here is where I really tried to move on from her. I messaged her back, finally telling her how I really felt and have felt about her since the day we met, fully expecting her to respond like, “Sorry, I had no idea.” But instead her message back to me was a confession about how she has not been able to get me out of her heart, either. We talked on the phone for hours and within two days, she had a plane ticket to come visit me. That was easily the best give days of my life. Somehow the city was practically empty everywhere we went. Several times throughout the weekend we had stumbled our words and almost told each other “I love you,” but had managed to catch ourselves. But after a ferry ride to Staten Island, while sitting at the harbor looking towards Manhattan, I finally told Laurie Anne that I loved her. From there we had the greatest long distance relationship possible. Jesus blessed us with a very generous amount of sky miles, free plane tickets and time off work to where the longest we went without seeing each other was only three weeks…which was torture! A month and a half later, I had quite my job and was returning to Birmingham to get my bride. This is such a sweet love story! Congrats!!! Such an incredibly sweet story! I wish yall the best!